A weekend in Berlin has left my head is spinning with ideas of the sewing variety - I knew it was only a matter of time before something threw off my seemingly good progress with my #2019makenine. The effortlessly cool style of the native Berlin crowd is truly something to be admired, whether out and about in the day, or enjoying the latest of late nightlife the city has to offer. 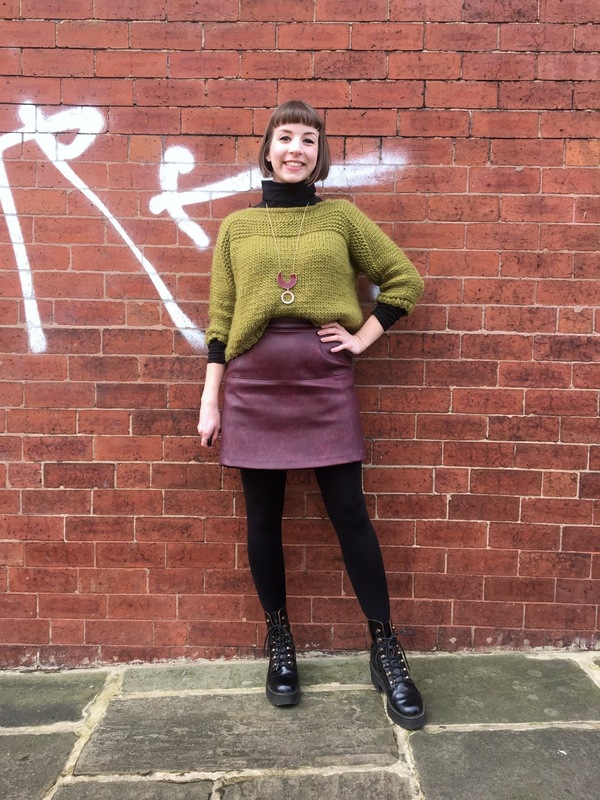 Whilst making conscious plans to dress like a Berlin-er is the exact opposite of effortless and discounts all cool points, I can't help but want to draw inspiration from the city's style and impart it into my sewing. 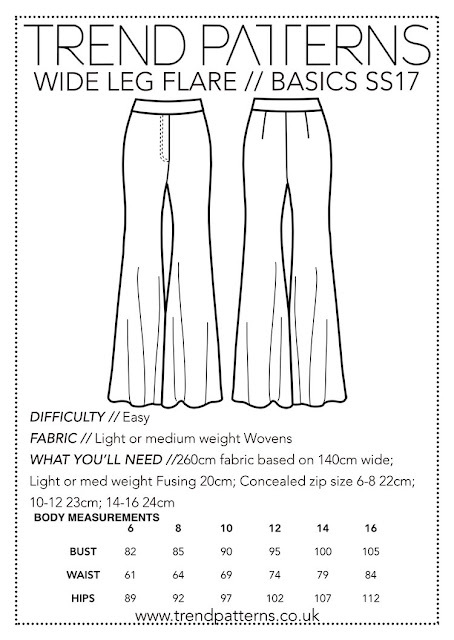 I never thought I'd wear flares again after the teenage discovery of skinny jeans, but now I'm talking about sewing a pair, who'd have thought it? 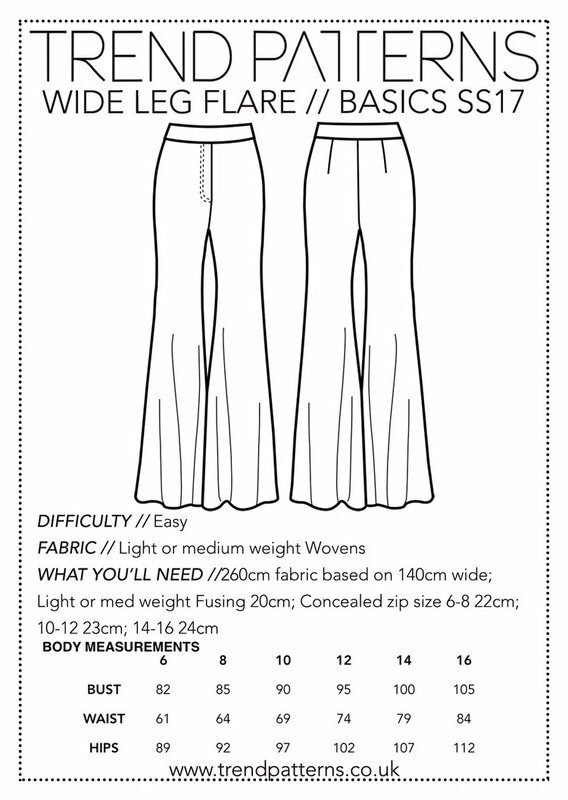 After my success with the Trend Patterns Utility Trousers - which could also be pretty 'Berlin' in a more neutral fabric/colour - I'm encouraged to try out the TPC10 Wide Leg Flare. Other flares suggestions welcome! Style notes: The coolest of casual looks paired black flares with DMs not too dissimilar to the ones below. Some things from the 90s should not have been resurrected in my opinion, including clompy Sketchers and Spice Girl shoes, but 'ugly trainers' are where it's at. I've never been a big trainer fan, but the shoe I definitely can do is also a Berlin staple: a solid Doc Marten Boot. I already have a pair like the ones below (the Jadon I think?) and always feel 10x cooler the minute I put them on. Style notes: To wear with anything and everything (especially flares), day or night. I'm torn by my interest in the bum bag - is it just too fashion?! 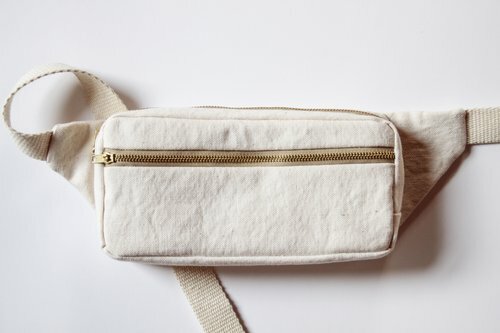 Nevertheless, a modern-times version of the accessory of my childhood was on my #2019makenine in the form of the Fennel Fanny Pack, and across the body of every other young Berlin-er we saw. 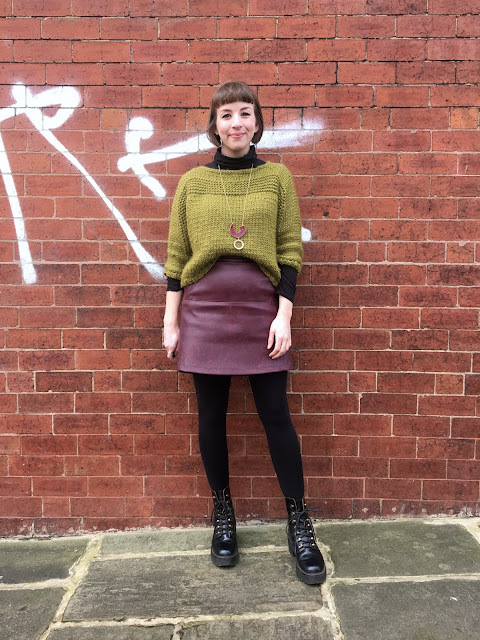 Style notes: the bum bag is no longer just for bums or waists and should now be formally recognised in it's primary function as an 'under armpit bag'. 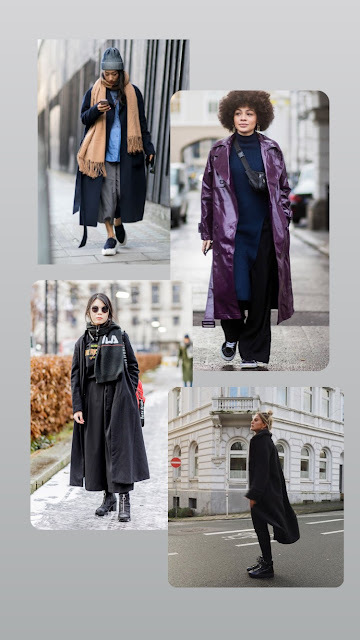 Long, bold in silhouette, yet neutral in colour and design: the people of Berlin really do love an ankle-skimming, oversized jacket. 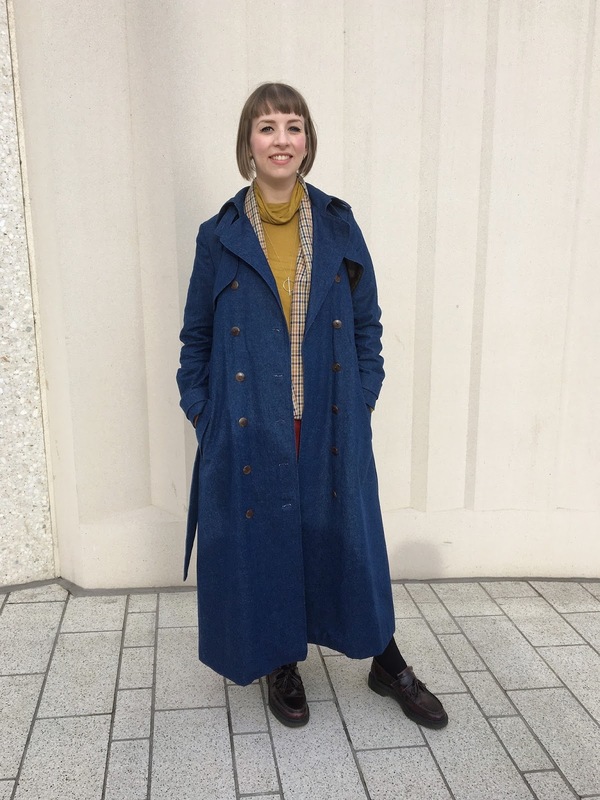 Whilst I could always be tempted to make more jackets (I have an entire Pinterest board dedicated to coat inspo) in this case, I think my Named Clothing Isla Trench is already pretty perfect. Now just to work on some toned down styling. 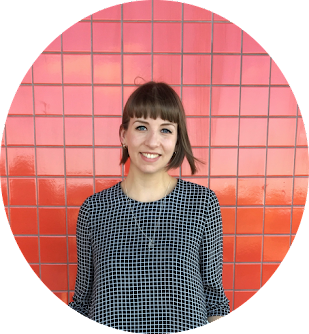 Style notes: to be worn open, and layered - Fall Turtlenecks and Paper Theory Olya Shirts could work! 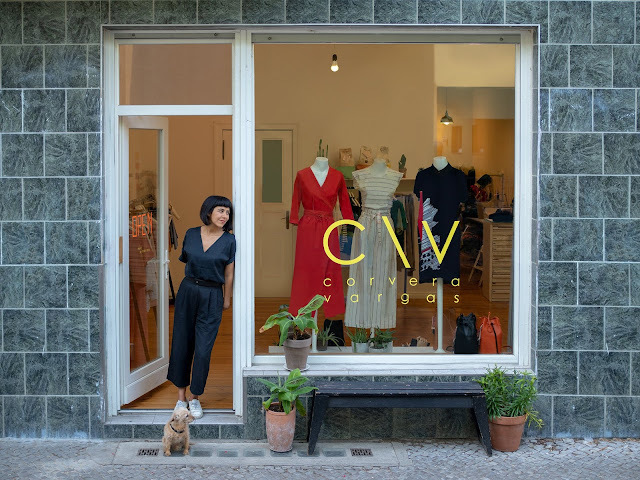 My boyfriend said 'they're your kind of clothes' as we passed the window of the Corvera Vargas shop in Kreuzberg and he was absolutely right. I went in to admire them and spoke to one of the members of staff who told me that all garments were designed locally and produced in Poland using only production leftovers and remnants - my kind of brand! - with the aim of reducing waste from the fashion industry. 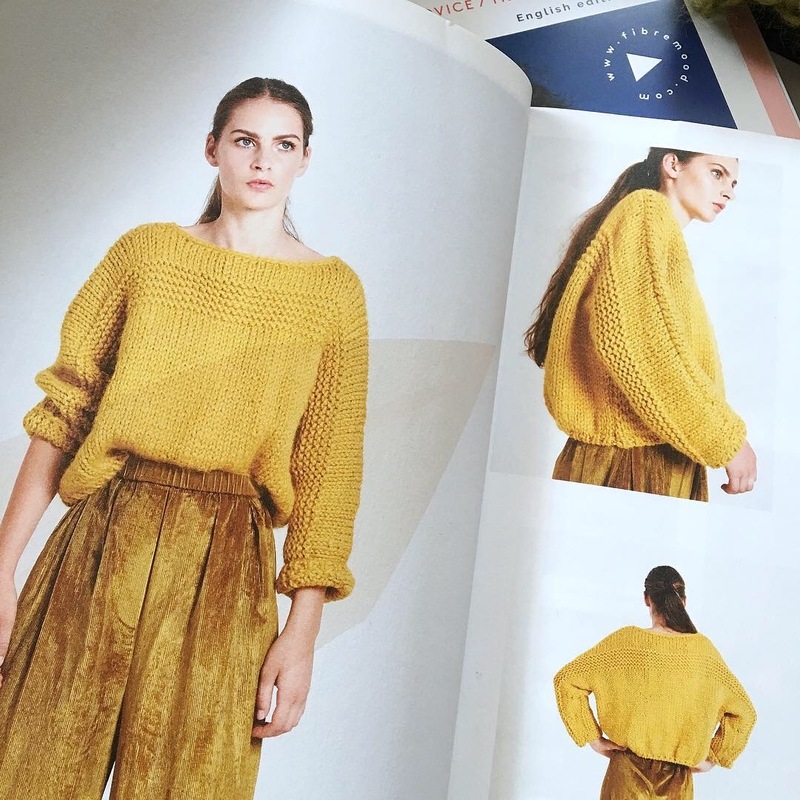 I particularly liked their Tanger Jumpsuit, which I think draws some similarities to the Fibre Mood Carmella that I recently finished (coming soon to the Minerva Crafts Blog). There are definitely a few hacking opportunities to be had with this pattern in the future! So... fanny pack and flares... do you think it's a look? We've been to Berlin before and will definitely go again - the fashion inspiration is just a fun aside to such a great city (which also has a Stoff & Stil if you needed any more encouragement)! But for now and before next time, it's back to sewing, with a few new plans. Can you believe that my first knit took me almost a year to complete and this one took less than a month? Yes, I've discovered the power of super chunky yarn! No it doesn't make me a better knitter, but it does make me faster, and seeing my knitting grow at speed gives me even more motivation to see it through to completion (plus I'm learning lots of new techniques on the way)! Here's the Fibre Mood Tara - my second knitted jumper and the second make of my #2019makenine. 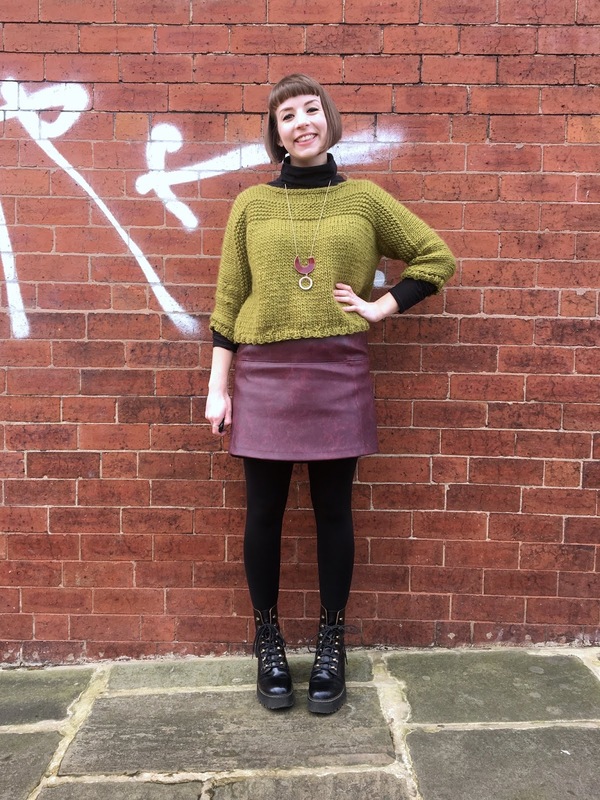 Finished Fibre Mood Tara jumper! Fibre Mood are a fairly new-to-me pattern company that offer both sewing and knitting patterns via their website and their aesthetically impressive and cooly styled pattern books. You can access some of the patterns for free online in return for signing up to the Fibre Mood website - the Tara Ribbed Jumper being one of them - buy individual patterns as PDFs, or purchase the pattern books which come with folded paper patterns in the back. The Tara looked like a fairly easy second knit with lots of garter stitch and stocking stitch, but slightly more challenging than my first, which was made up purely of squares/rectangles. The sizing is a little limited, with only XS, S or M to choose from, so I went with the size M (40-42) as I wanted it be oversized. I picked this Drops Eskimo super chunky yarn in Olive from Wool Warehouse. 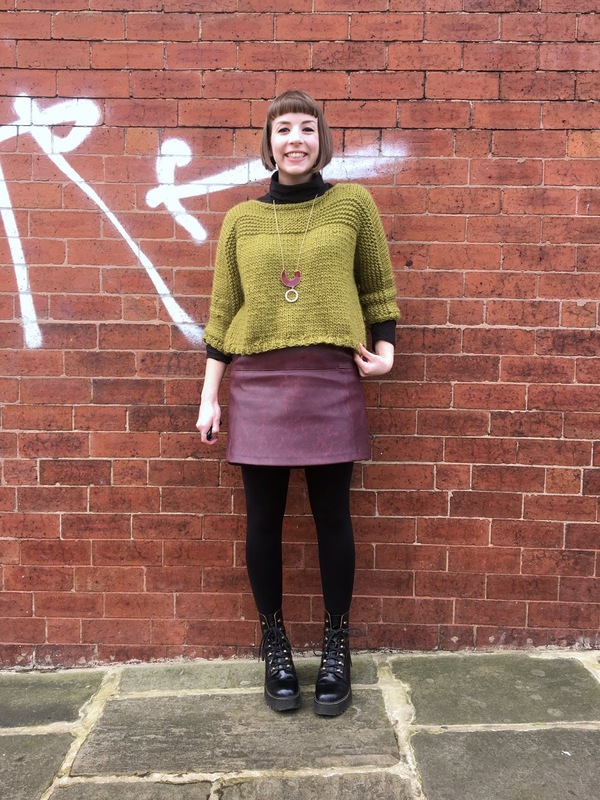 The low price and huge colour range made it pretty appealing, plus it's 100% wool. After using a Wool and the Gang kit last time, this was my first attempt at pairing yarn with a pattern. Luckily my Mum is an expert knitter so she could check I'd made a good choice and help me to calculate the yardage!. I'm by no means an expert, so can't talk at length about the standard of the instructions or compare it to many other knitting projects, but I can tell you the things I learned along the way! First up was the Italian cast on method, which I found out is really good for ribbed edges. 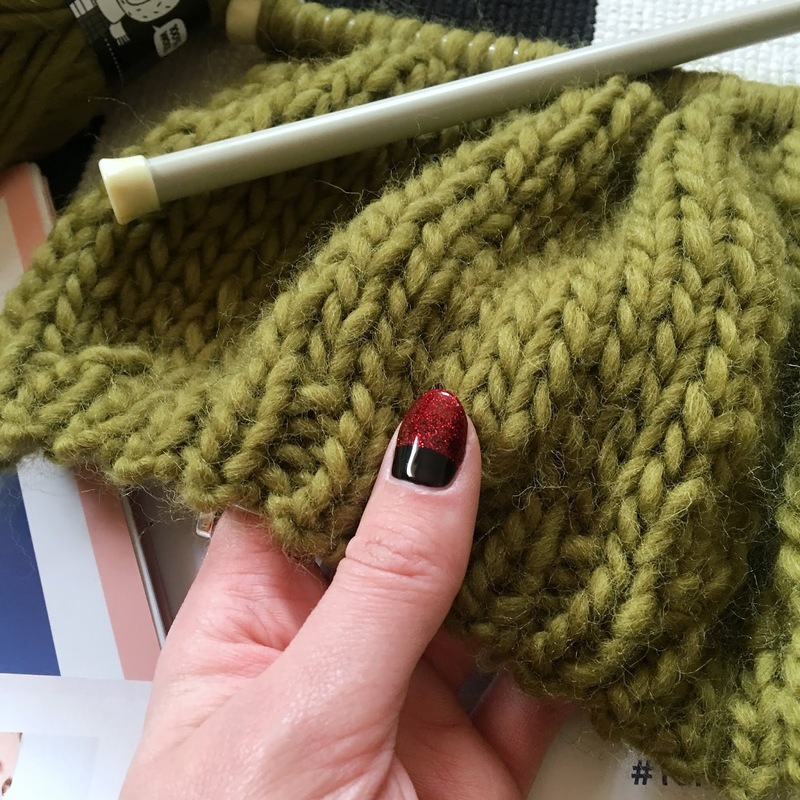 I've since used the same method to cast on a double-knitting ribbed hat I've made so many times and it's made a huge improvement! Casting off the shoulders/top of the sleeves together was totally new to me too and made for a really professional finish, plus it reduced the amount of sewing up at the end. 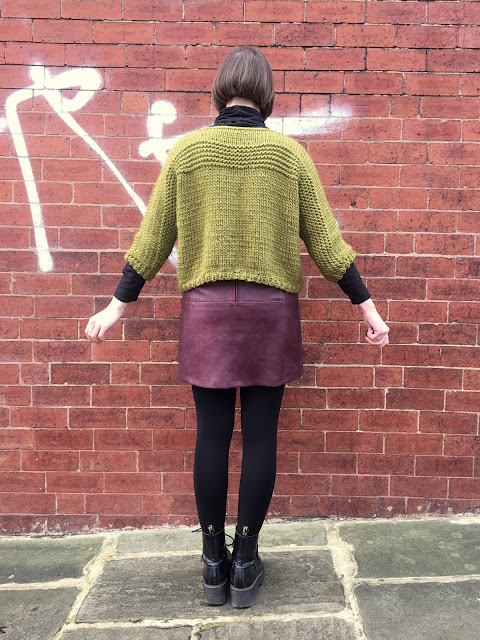 I learnt how important it is to do this loosely so not to restrict the movement or fit of the jumper - I'd probably try to cast off even more loosely next time! 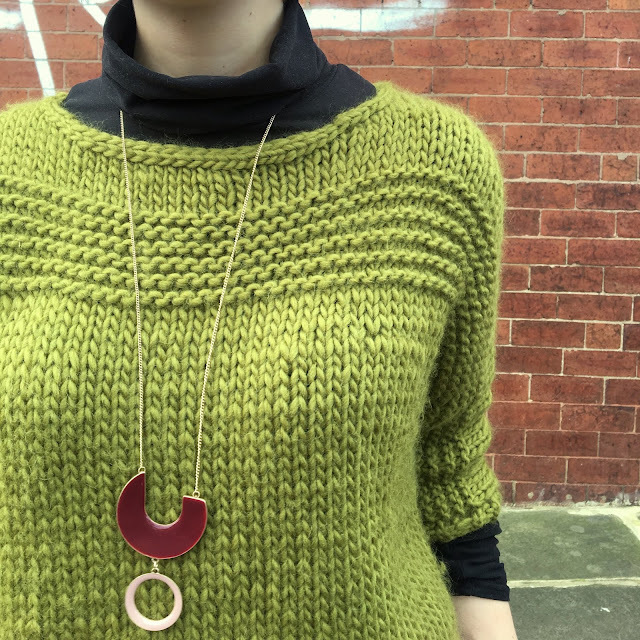 Just the mention of crochet fills me with dread as it's one of the only crafts I feel like I've never really tried to learn, so I wasn't too keen at the suggestion of doing a slip stitch finish around the neckline. I didn't really understand the instructions, but after watching a couple of YouTube tutorials, it seemed to make more sense. It was actually quite easy once I got into a rhythm and it really neatened the finish of the neck. It's probably worth saying that I referred to YouTube a lot throughout this project. The pattern does include a glossary/explanations of some of the techniques used, but I personally found them difficult to visualise without the help of a video tutorial! The full jumper took 10 balls of yarn and I used every last bit, even ordering an emergency ball when I got the 'fear' near the end. I realised I wasted quite a lot of yarn when finishing one ball and joining in the next, so I think that's something I could work on improving with my next knitting project. There were LOTS of ends to weave in, but I found it to be surprisingly therapeutic! 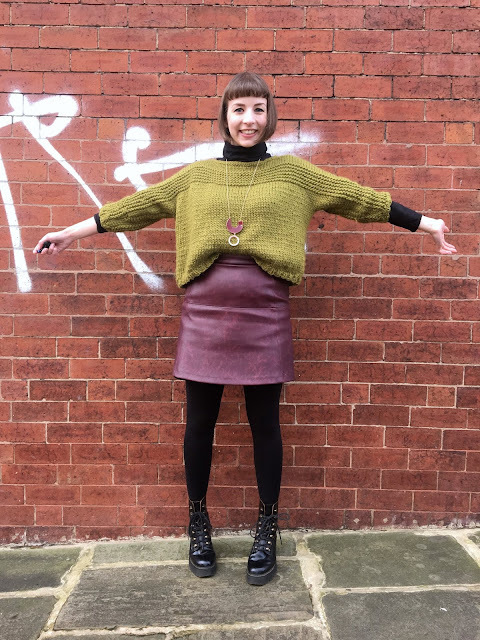 Whilst I really like my finished Tara Jumper, I would say that it's a lot less oversized than I expected based on the images in the pattern book - the model is very slim I guess, but even the sleeves look longer on her! My tension was fine, so I wonder if knitting it on slightly bigger needles in future would be ok (the instructions suggest using 10mm needles, 8mm for the ribbing). 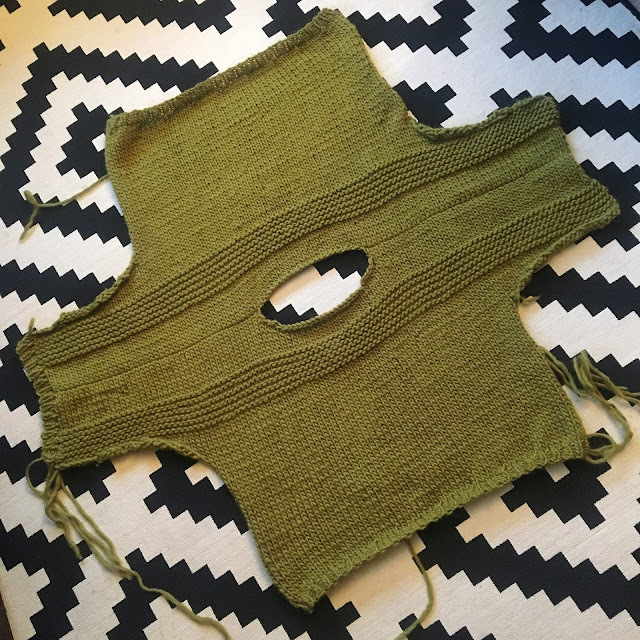 I'd also consider knitting it on circulars next time just because of the sheer volume of stitches on your needles when you increase the stitches for the sleeves. Overall, the Tara was fun and interesting to knit and it's great to wear. At £21.95 for a wool jumper I think it's turned out to be a real bargain and has totally squashed some of the misconceptions I had about knitting being way more expensive than sewing - phew that it can be done on a budget as I don't think my bank account could support another expensive crafty hobby! 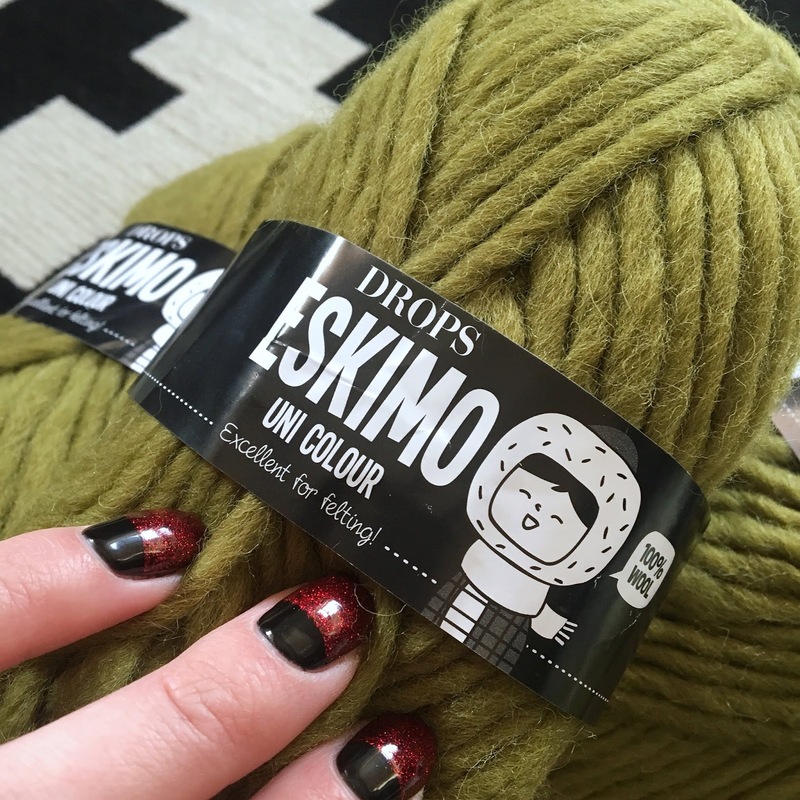 I've already cast on my next project using a different colour of the Drops Eskimo yarn and would definitely recommend it and the Tara Jumper as a good starting point for fellow novice knitters! I can definitely see the benefit of having a knitting project on the go at all times now and I've started saving some of my favourite patterns to Pinterest. 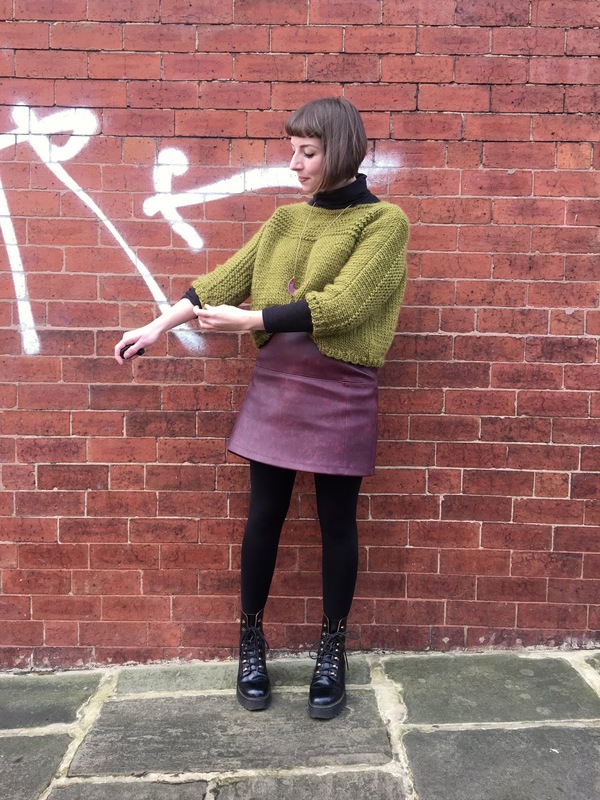 Do you have a knitting pattern that helped you to learn the ropes? Please leave me your suggestions below so I can add them to my knitting plans!